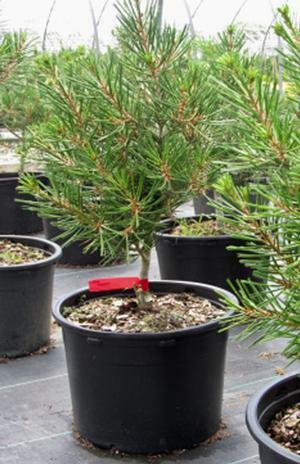 A pyramidal to rounded tree with many trunks that becomes open, flat-topped and broad-spreading with age. 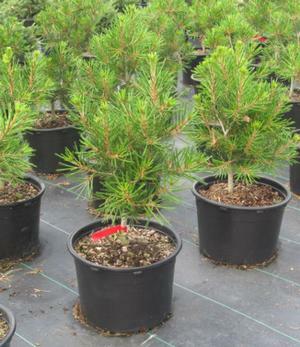 The medium to dark green needles are very stiff and sharp to the touch. 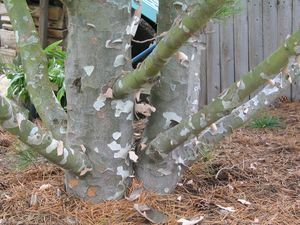 Valued for its striking, showy bark.